In the first round of play in the combined 1A/2A Tennis State Tournament hosted by Conway Christian at UCA, 15th seeded sophomore Alex Southerland lost to the seasoned No.2 seed Alexis Evans from Haas Hall (6-0) in the first set and (6-0) in the second with many of the games being decided near or at deuce along the way. In boys doubles play, the 8th seeded team for West Side comprised of returning junior Robbie Schmidt, and freshman Ashton Klepko, was bested in a match of tactical precision by the 9th seeded seniors Howard and Taylor from East Poinsett County in the first round of play winning (6-2), in the first set and then (7-5) in the second. 12th seeded freshman Tanner Fife and Jared Cothren lost to the No. 2 seed Corderno and Herlivic from Haas Hall (6-4), (6-3). In girls doubles play, the 15th seeded sophomore team of Kamren Johnson, and Alissa Allen faced the No. 2 seed Hodgson and Waggnor from Classical Academy again this year losing (6-0), (6-0) in two sets. Many report Hodgson and Waggnor as their pick to win the tournament. 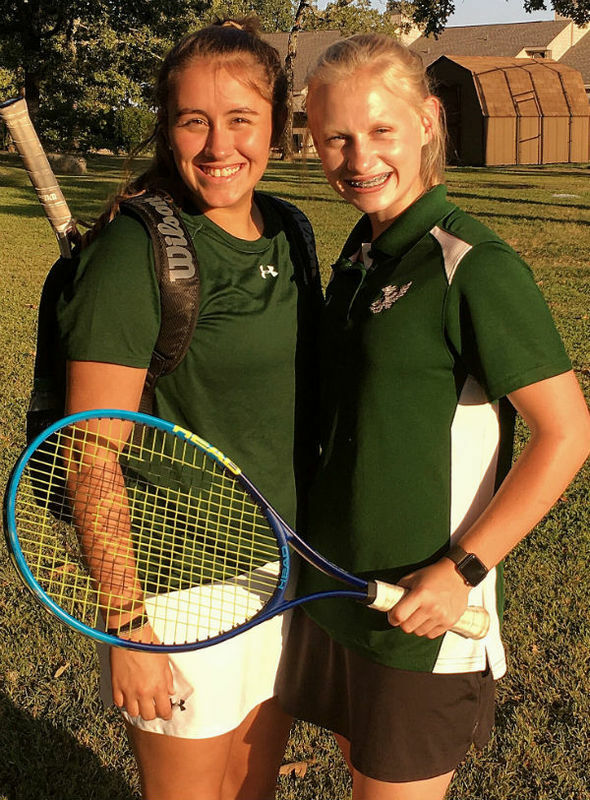 The 8th seeded team comprised of sophomore Madison Bailey and freshman Haley Gentry saw the most success on the day for West Side blowing past the No.9 seed of Emily Pierce and Eliza Long from Ridgefield with ease winning in two sets (6-4), (6-2) to advance to the second round of play. Madison and Haley then met the No.1 seeded Cantey and Evans from Haas Hall. The two teams were evenly matched from the start as Haley and Madison brought their power style play against the more technical seniors Cantey and Evans. Cantey and Evans won the first set (6-3). Madison and Haley then went into the second looking to split sets and maintained an early lead, but were met with frustration as Cantey and Evans edged them out game after game to secure the win (6-4) and move on to the semifinals. With such up and coming talent and progress being made on a new tennis facility at West Side, coach Devin Carr is excited for the future of Eagles tennis in the years to come. "There are so many good things happening here at West Side, it is hard not to be optimistic about our future academically and in athletics." Coach Devin Carr attributes the team's recent successes to the hard work and determination the students have displayed, the support of leadership, and a high level of community involvement in school programs.